A ribbon cutting was held recently for Ella’s Olive Tasting Room in Duck. 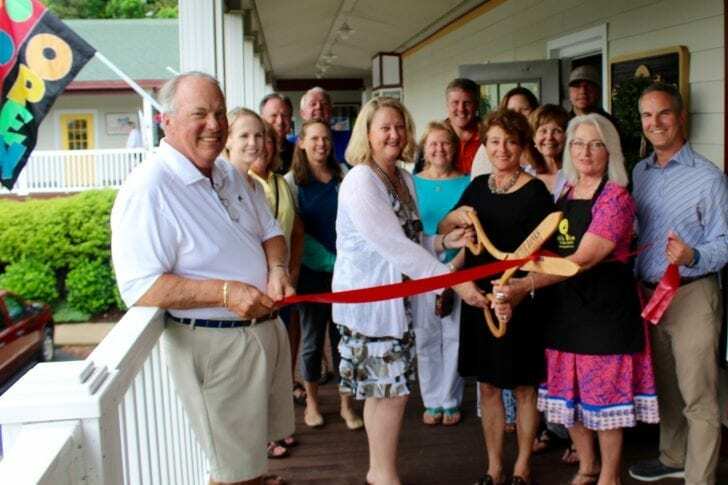 The Outer Banks Chamber of Commerce recently held a ribbon cutting for Ella’s Olive Tasting Room, a new business located at Scarborough Lane in Duck, and welcomed a new Chamber member. Ella’s Olive Tasting Room, owned by Ella Rabil, is a high-end gourmet food store offering tastings daily, so customers’ shopping experience includes tasting of any of the products before buying them. Pairing suggestions and recipes are available. Rabil enjoys creating one-of-a-kind delicious meals and her secret is using the freshest ingredients and enhancing them by using varieties of flavored oils and vinegars. The Outer Banks Chamber of Commerce is an advocate for businesses on North Carolina’s Outer Banks. A regional organization, the Outer Banks Chamber serves Dare and Currituck counties, along with Ocracoke Island. There are currently more than 1,065 members.